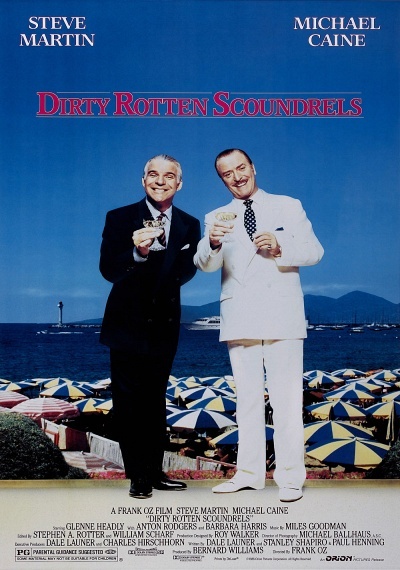 Dirty Rotten Scoundrels :: Movie Information :: RabbitTV GO! Beaumont-sur-Mer is a seaside resort filled with ladies willing to empty their pocketbooks for con man Freddy Benson (Steve Martin) and his tales of woe. But the beach locale belongs to Lawrence Jamieson (Michael Caine), a fellow con who has made his wealth duping the rich of the Riviera. Soon the pair are waging $50,000--to determine which con will be packing his bags.